Another round of Secret Sister has come and gone! It continues to be a wonderful experience, even if I'm not as active on the Twitter hashtag as I'd like to be. I was Secret Sister for Anna (@lostbraincell). I really tried to do a lot of themed boxes this round, which was super fun. February was Gilmore Girls, March was fantasy, April was the Chicago Cubs (I timed it to arrive for the Cubs' home opener), and May was Harry Potter/magic. June and July were more random stuff, since her birthday was in June and July was kind of like the reveal box (see below for the July box). Anna never guessed who I was, which made my reveal all the more fun. She was so enthusiastic and all-around great, which made gifting stuff all the more fun. 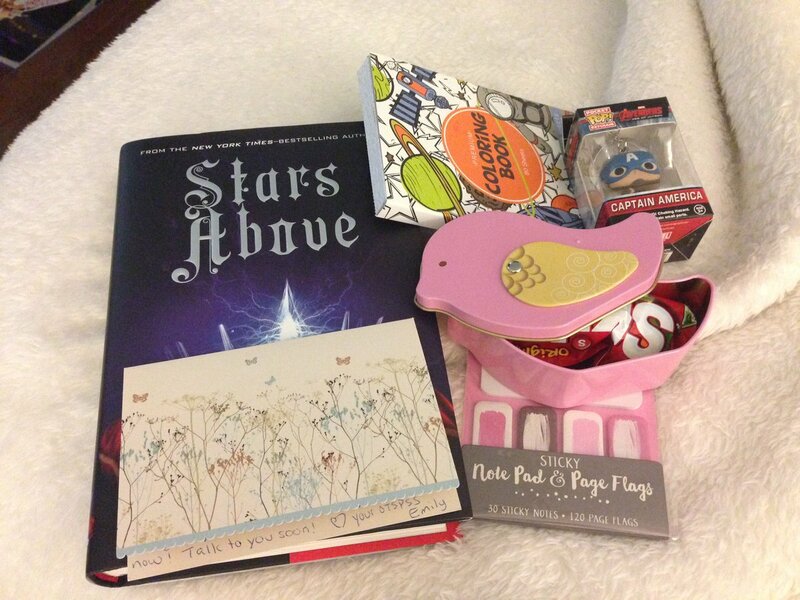 My Secret Sister was Emily (@WilowRedHouse)! For the first time ever, I managed to guess who my Secret Sister was before the round was over. In her April card, she gave a pretty big hint, which combined with some major stalking on the hashtag, helped me find her. 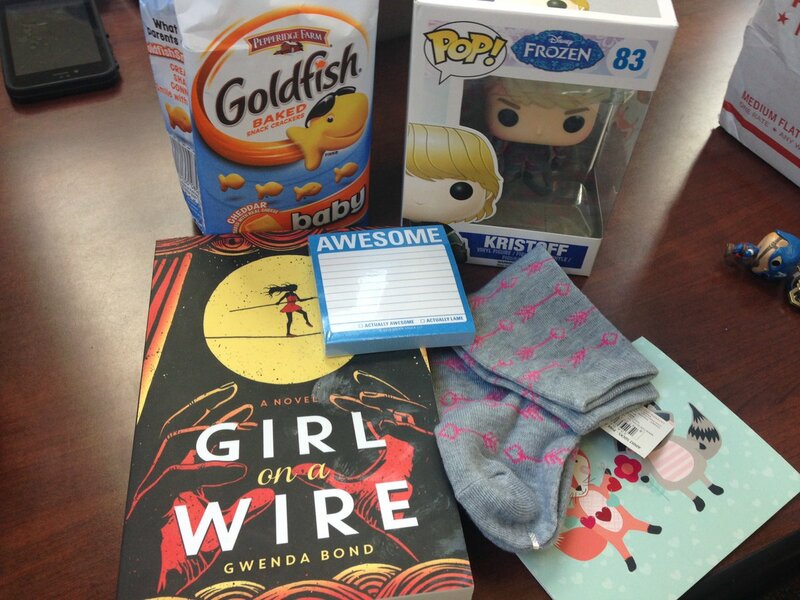 She's sent cute socks, tons of books of course, lots of office-y stuff perfect for a writer and student, and other little treats. I've included my pictures of the February and June packages below. The fifth round has already started, and I'm as excited as I was for the past rounds. I'm gonna try to be more active on the hashtag and I want to send lots of letters to my Secret Sisters because I love getting notes when I'm at school. Have you done Secret Sister? What's been your favorite part?